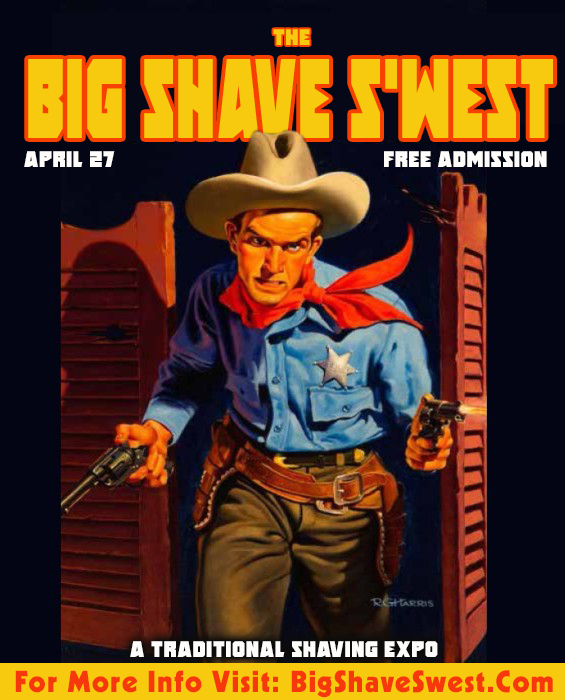 The Big Shave S'west | 11 Days Away!!!! The ultimate Shave-Cation is Coming...Will You Be There?!?!?! Join Us For Year 5 of The Most Epic Shave Expo this side of The Pacific! Free Admission, Just Get Here!!! Over 20 Artisans, Live Demos, Free Straight Razor Shaves, Samples & Swag, Your Favorite Industry Personalities, On Scene Caricature Artist, The Big Shave Best Competition, Live Shave Shows All Day, Pre-Show Events Begin Wednesday, Tombstone Day Trip, Cigar & Pipe Night, Baseball, After Parties....and oh soooo much more!